the book + best pancakes ever! it’s here!! our book is finally here! actually, it’s been around since september 10th but we’ve been so busy with our book party and, honestly, just looking at it. it’s been such a whirlwind, we’ve signed so many books and received the most wonderful feedback and it’s only now starting to sink in that apparently we are actual, proper cookbook authors! which despite everything is still really hard for us to wrap our head around. we are so excited to finally share it with you and hope you love it as much as we do. lots of lovely people have asked on instagram if it will be translated into english but we actually don’t know that yet, so we’ll just have to keep our fingers crossed and wait for a little bit. until then here’s a little glimpse of the german version and one of our favourite recipes from it, our super duper fluffy pancakes that will brighten any sunday! the book contains lots of basics like vegetable stock two ways, curry pastes, spice mixes, granola, jams - just great things to have at home at any given time. 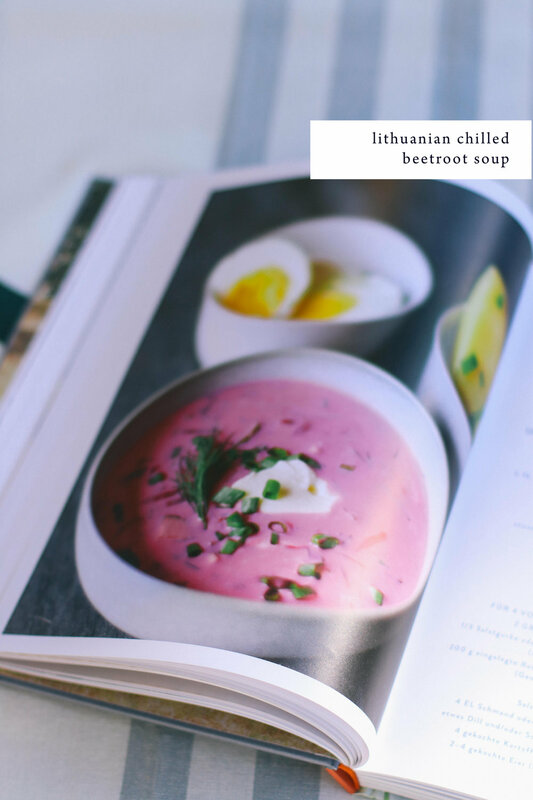 lots of summery salads and dishes with really fresh ingredients and then also very warming, hearty dishes for the colder months. and of course a whole lot of dessert and sweet treats like spiced brownies, affogato, apple crumble, pavlova and much much more. add all ingredients (except the water) into a bowl and quickly mix together with a fork. it’s absolutely fine for the batter to be a little lumpy - don’t overmix, a too smooth batter is not your friend in this case. let rest for a couple minutes, then check the consistency and add a little water. the batter should be thick and not spread too much in the pan. in a pan on medium high, heat the oil. once it’s hot, add a good tbsp of batter per pancake and cook for about a minute on each side. be sure to use a good coated pan for this as you want to be able to gently flip the pancakes without them sticking to the pan. stack as high as you want and drown in maple syrup! 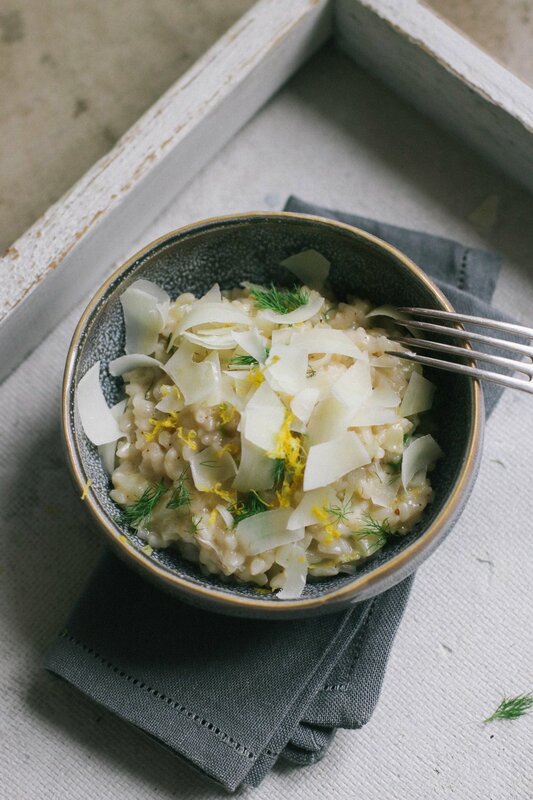 we love a good risotto and this is just the perfect dish to hold onto summer for a little bit longer. munich is treating us to some really warm days still, yet there’s no denying that they are getting shorter and shorter and we are well and truly headed towards autumn! lemon and fennel make such a great team - incredibly fresh and luscious. 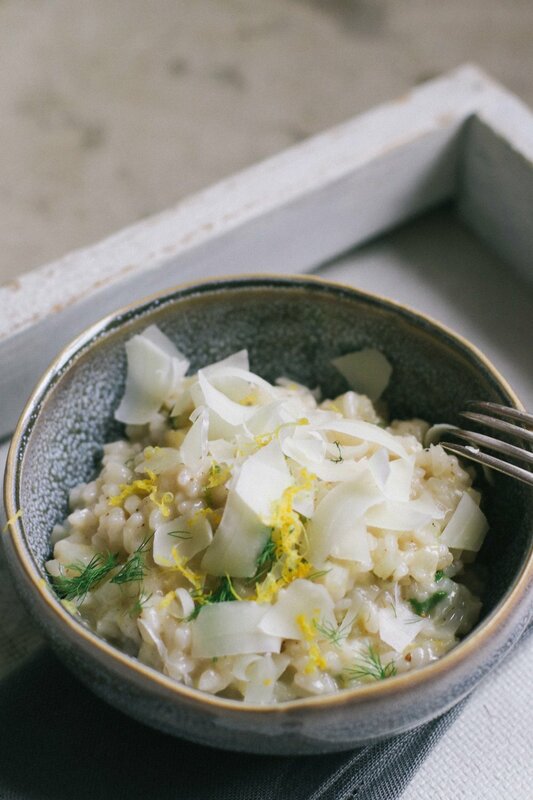 paired with generous shavings of pecorino and freshly cracked pepper, every spoonful of this risotto is reminiscent of summer, yet warming and hearty. everything we hope for in a dish these days. wash the fennel and cut into fine cubes. heat the oil in a large saucepan and fry the fennel in it. after two minutes, add the rice and salt and cook for another two to three minutes. deglaze with the pernod and gradually add the vegetable stock, stirring constantly. grate the lemon peel into the rice and season with the fennel seeds. let simmer until the rice is cooked, this will take about 40 minutes - don't forget to stir occasionally. if necessary, add more hot water. season with salt and freshly ground pepper and stir the grated pecorino as well as the fennel greens into the risotto. serve with shaved pecorino, some extra fennel greens and freshly grated lemon zest. 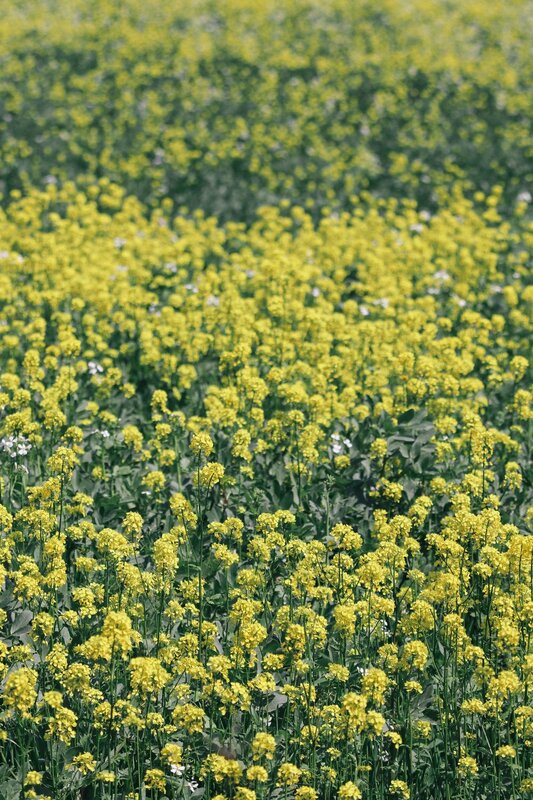 we are introducing a new series of mini posts on the blog. not much talking, no fuss, just a great recipe. so without further ado we'll just jump right into it. in a large pot, bring salted water to a boil. the fresh pasta doesn't take longer than 3 minutes, so add in the pasta last minute when everything else is ready. if necessary, wash the spinach; cut the fennel into thin wedges and keep the greens for later. peel the onion and chop it finely. clean the mushrooms and - depending on their size - cut them into halves or quarters. they shouldn't be too small so they don't lose too much liquid and go soggy. now heat the butter in a pan and add the onion and fennel once bubbly. once the fennel is golden, add the mushrooms and salt and pepper to taste - cook for about 3 minutes only. at this point, pop the pasta into the ocean water, cook for 3 minutes and drain. turn off the hob and put the pasta back into the pot, add cream, milk, pastis and spinach and mix. when the pasta starts absorbing the cream (should only take 1-2 minutes) carefully fold in the mushrooms, give it a quick stir and serve immediately with fennel greens and chives. we like to top it with a sprinkling of parmigiano but this is totally optional. 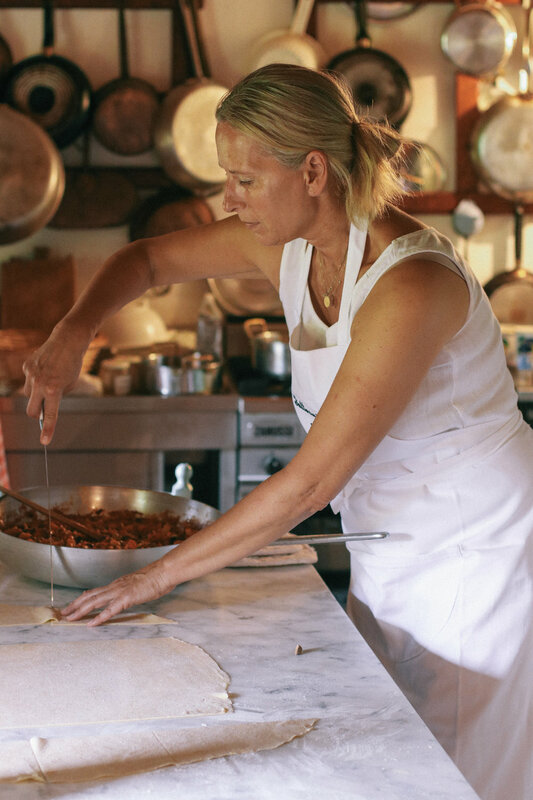 while we were in tuscany last year, we had the chance to make pasta with la viallas cook, luigina, the queen of pasta. so you can believe us when we say this recipe is good, like reeeaaally good and pretty much foolproof. in these pictures we made lasagna and cut the dough into large rectangles, but the recipe works for any type of pasta. if you're making some kind of linguine or spaghetti we recommend running the dough through a pasta machine. any other kind can easily be cut by hand and there are lots of tutorials online to show you how. making fresh pasta is 100% worth it as the taste and texture just does not compare to anything store bought. pile up the flour on your worktop and hollow out the middle. add in the eggs, semolina, olive oil and a pinch of salt. using a fork, mix the ingredients and gradually start taking in the flour from the sides. then proceed to kneed with your hands until you are left with an even, compact dough. as you can see from the left picture, the dough might be a little sticky in the beginning but will eventually become nice and smooth and shouldn't stick to your fingers. once you are left with a nice big ball of dough, cover with a clean hand towel and put aside to rest for 15 minutes. lightly flour your worktop and use a large rolling pin to roll the dough as thin as possible. it can help to flour the rolling pin as well to stop the dough from sticking to it. cut the dough into the pasta shape of your choice using a knife or a pizza cutter. 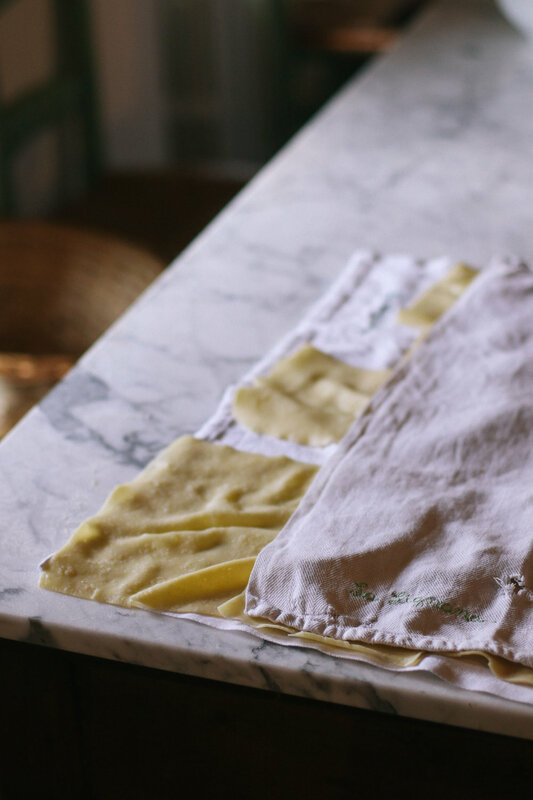 to make lasagna sheets we did large rectangles, but you can do almost anything from farfalle to fettuccine. ...to become what is quite certainly the best lasagna we've ever had. while we're waiting for spring to finally come around, full bloom and all, we might as well make the most of the last snowy days in austria. long walks with our dog leni, slow mornings and good home cooked meals is what we call a weekend well spent and there is little an escape to the countryside can't fix. as our farm is still in the process of renovation we've enjoyed spending time in the area and staying at our friends country home, starting the days with homemade granola and fresh almond milk. visiting our neighbours who have llamas and alpacas and all sorts of furry friends. the best cauliflower broccoli bake - we'll share the recipe with you sooner than you know! there really is nothing quite as cosy and comforting as baking up a storm in the kitchen when it's all cold and snowy outside (except maybe eating said baked goods). one of our absolute go-to recipes is this cake that's bursting with coconut flavour and little juicy gems of blueberries and raspberries. it's so gooey and the sugar crust gives it that little extra that makes all the difference. spread the batter evenly into the baking tin and bake for 15 minutes. then pull out of the oven and sprinkle with 2 tbsp each of desiccated coconut and sugar. put back into the oven and bake for another 10-15 minutes or until golden. don't let it get to dark!